The explosive progress of science and technology up to the 20th century brought prosperity and enriched the quality of life for much of mankind. However, the advance of science and technology raises important ethical, safety and environmental issues: possible negative applications are threatening mankind’s own future. Since progress in science and technology is expected to accelerate and will be necessary for sustainable human development in the 21st century, wisdom must be exercised to keep it under proper control. In that sense, the most pressing problems we face today include harmonizing economic development with global warming; preventing terrorism; controlling infectious diseases; and assessing the potential health benefits and ethical factors relating to cloning technology. International efforts to address these problems are needed now more than ever. This is really what symbolizes the “lights and shadows of science and technology.” Opportunities need to be taken, but the risks must also be controlled. Health, meeting energy needs, and many other aspects of human welfare are dependent on continued progress in science and technology. At the same time, the benefits of science and technology are not reaching a major part of the world’s people. The barriers to seizing the opportunities for using science and technology to solve the problems of humankind need to be discussed. Because the problems we face today are becoming increasingly complex against the backdrop of globalization and international competition, they are beyond the control of any single country. These issues are also beyond the control of the scientific community alone, because many of the problems will find solutions through changes in social systems, international collaboration, global networks, and the building of common rules. The time has come for not only scholars and researchers but also policy makers, business leaders and media leaders from all over the world to meet and discuss science and technology issues in the 21st century. 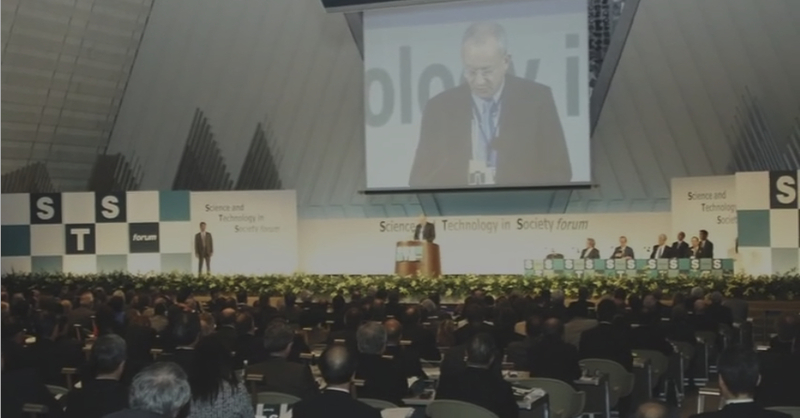 The Science and Technology in Society (STS) forum aims to provide a new mechanism for open discussions on an informal basis, and to build a human network that would, in time, resolve the new types of problems stemming from the application of science and technology. The forum community will also explore the opportunities arising from science and technology, and address how to remove the barriers to using science and technology to solve the problems facing humankind. The STS forum members are expected to participate, not as representatives of their country or organization, but as individuals expressing their own views. This forum is not necessarily a platform for specialists to unilaterally convey their knowledge, but rather an opportunity for real dialogue among peers. Participants should also undertake cross-border activities towards the establishment of shared values and commitment for the future.